What is SAP CRM tutorial? 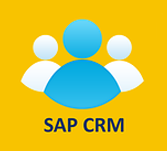 SAP Customer Relationship Management (SAP CRM) is the important module of SAP Business Suite. It is mainly used to find out the organization’s short term goals and reducing cost and increase the decision making ability with a perfect strategy. This tutorial explains basic concepts of SAP CRM and its components and sub-components. The target audience of this tutorial is to learn the basics and in-depth concepts of SAP CRM in practice. The SAP CRM system is implemented across customer interaction channels like Interaction Centers, Internet, and mobile for E-Commerce. To learn this tutorial one must have a basic knowledge of how to deal with the CRM System of a company. It will be an added advantage if you have prior exposure to customer service, assistance related to sales, complaint handling and other related activities.